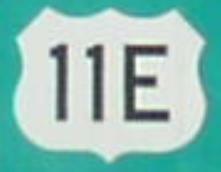 U.S. Federal Route 11E runs east west out of Knoxville toward Morristown in Hamblen County. U.S. Rt. 11E passes through the following towns in Knox County. U.S. Federal Route 11E is multi-plexed in Knox County. U.S. Rt. 70, from near Knoxville to near Strawberry Plains. Tennessee State Route 168, near Knoxville. U.S. Rt. 25W, from near Knoxville to near Strawberry Plains. 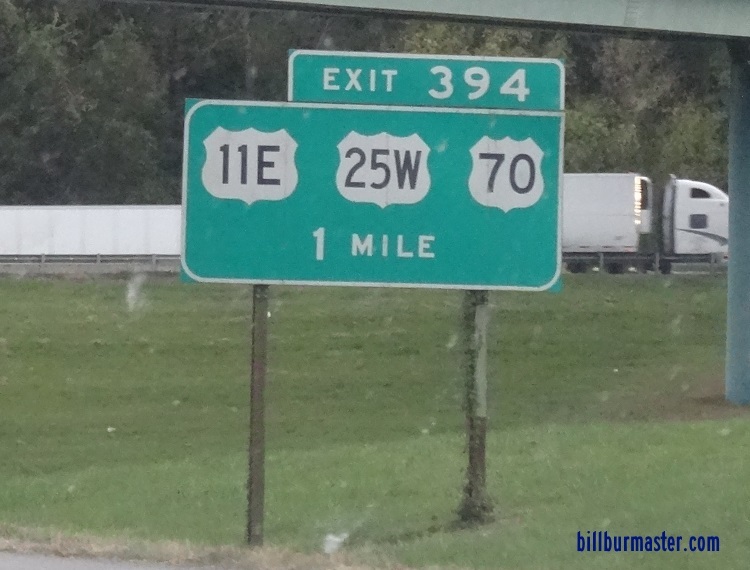 Tennessee State Route 9, from Knoxville to near Strawberry Plains. Tennessee State Route 34, from near Strawberry Plains to the Knox/Jefferson County Line. U.S. Rt. 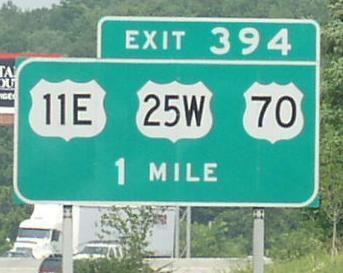 11E intersects the following highways in Knox County. U.S. Rt. 11, at Knoxville. U.S. Rt. 11W, at Knoxville. U.S. Rt. 70, at Knoxville. Tennessee State Route 1, at Knoxville. Tennessee State Route 168, at Knoxville. U.S. Rt. 25W, at Knoxville. Tennessee State Route 9, at Knoxville. U.S. Rt. 25W, near Strawberry Plains. U.S. Rt. 70, near Strawberry Plains. Tennessee State Route 9, near Strawberry Plains. Tennessee State Route 34, near Strawberry Plains.